From Dana Nuccitelli for Skeptical Science, part of the Guardian Environment Network. Alec Rawls, an occasional guest poster on the climate contrarian blog WattsUpWithThat who signed up to review the upcoming Intergovernmental Panel on Climate Change (IPCC) Fifth Assessment Report (as anyone can), has “leaked” a draft version of the report and declared that it “contains game-changing admission of enhanced solar forcing.” This assertion was then repeated by James Delingpole atThe Telegraph (with some added colorful language), and probably on many other climate contrarian blogs. 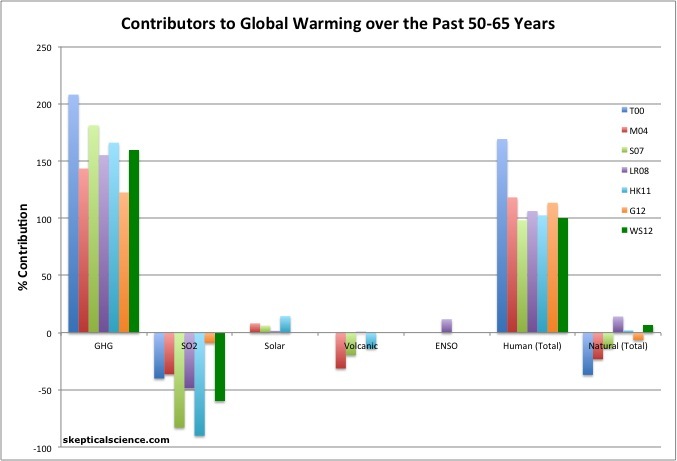 If the IPCC were to report that the sun is a significant player in the current rapid global warming, that would indeed be major news, becausethe body of peer-reviewed scientific literature and data clearly show that the sun has made little if any contribution to the observed global warming over the past 50+ years (Figure 1). 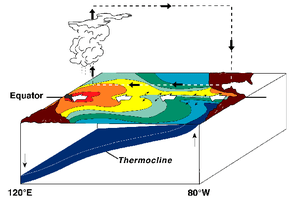 Figure 1: Percent contributions of greenhouse gases (GHGs), sulfur dioxide (SO2), the sun, volcanoes, and El Niño Southern Oscillation (ENSO) to the observed global surface warming over the past 50-65 years according to Tett et al. 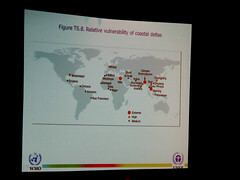 2000 (T00, dark blue), Meehl et al. 2004(M04, red), Stone et al. 2007 (S07, green), Lean and Rind 2008 (LR08, purple), Huber and Knutti 2011 (HK11, light blue), Gillett et al. 2012(G12, orange), and Wigley and Santer 2012 (WS12, dark green). This statement refers to a hypothesis of Henrik Svensmark from theDanish National Space Institute, who has proposed that galactic cosmic rays (GCRs) could exert significant influence over global temperatures. The GCR hypothesis suggests that when they reach Earth, GCRs (high-energy charged particles originating from somewhere in our galaxy) are capable of “seeding” clouds; thus at times when a lot of GCRs are reaching the Earth’s surface, more clouds will form. Clouds generally have a cooling effect on the Earth’s temperature, because they reflect sunlight. 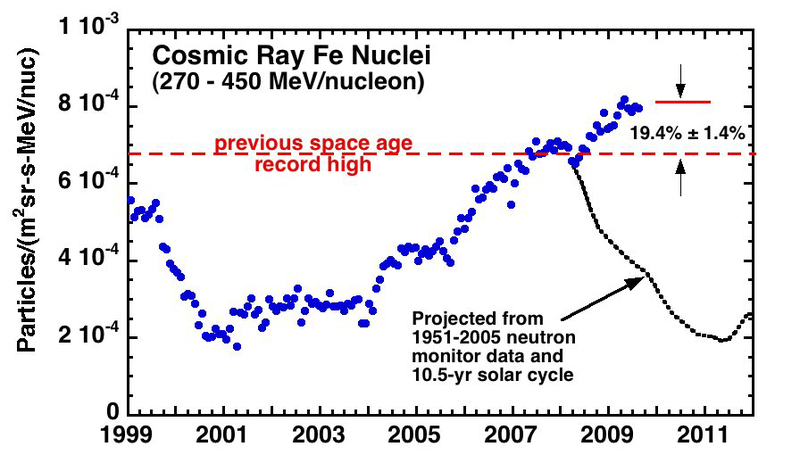 As we would expect, lower solar activity including a weaker solar magnetic field has translated into a slight increase in GCR flux on Earth (Figure 3). 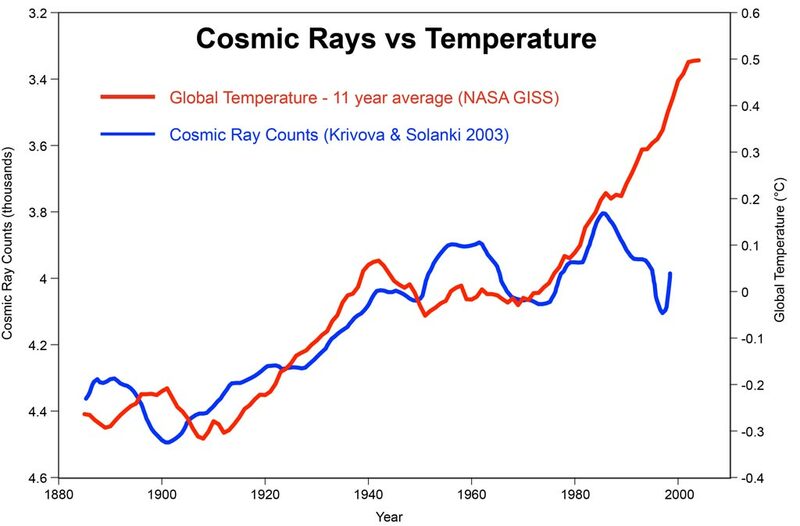 Note that on the left-hand axis of Figure 3, GCR countsdecrease going up the axis in order to show the relationship with temperature, since fewer GCRs hypothetically means fewer clouds, less reflected sunlight, and higher temperatures. So, if GCRs really do amplify the solar influence on global temperatures, since 1980 they are amplifying a cooling effect. In fact, GCRs reaching Earth recently hit record high levels (Figure 4), yettemperatures are still way up. Categories Climate change, IPCCTags El Niño Southern Oscillation, Galactic cosmic ray, Henrik Svensmark, Intergovernmental Panel on Climate Change, IPCC, IPCC Fourth Assessment Report, Solar variation, Watts Up With That? Pingback: Dana Nuccitelli’s holiday trick for sobering up quick: put a little less rum in your egg nog | Watts Up With That?